Johnson Trucking has one of the largest fleets on the Atlantic Coast for shipping furniture. 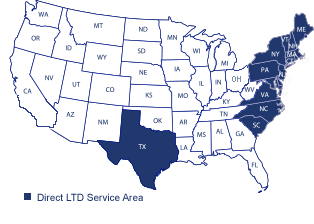 We offer LTL Shipping for 19 states plus the District of Columbia. We have 500 trailers that are constantly on the road with our customers LTL Shipments. Because we aim to be the best in the furniture industry, we have many drivers on the road who are making daily pickups throughout North Carolina, Virginia, and East Tennessee. Another way we try to please our customer is through Fast Delivery. We understand that you are trying to stick to deadlines and on tight schedules and for that reason we work hard to get your furniture shipments to their destination as quickly and safely as possible. One thing to know about Johnson Trucking is that we aren’t a general trucking company. We only ship furniture for our customers and nothing else. We have been shipping furniture for companies in the heart of furniture country for many years and are known as the best. We have distribution centers in Thomasville, Archdale and Lexington, NC. We also have one distribution center in Rancho Cucamonga, CA for West Coast customers shipping to the East Coast. Our Mission is to be the very best in furniture shipping by exceeding our customers’ expectations! Whether you’re looking to ship furniture, contact our sales team or request an online quote. Your needs are our top priority! So don’t wait, contact us now to get your shipment to its destination fast!